so I try to fix as many meals as I can at home. 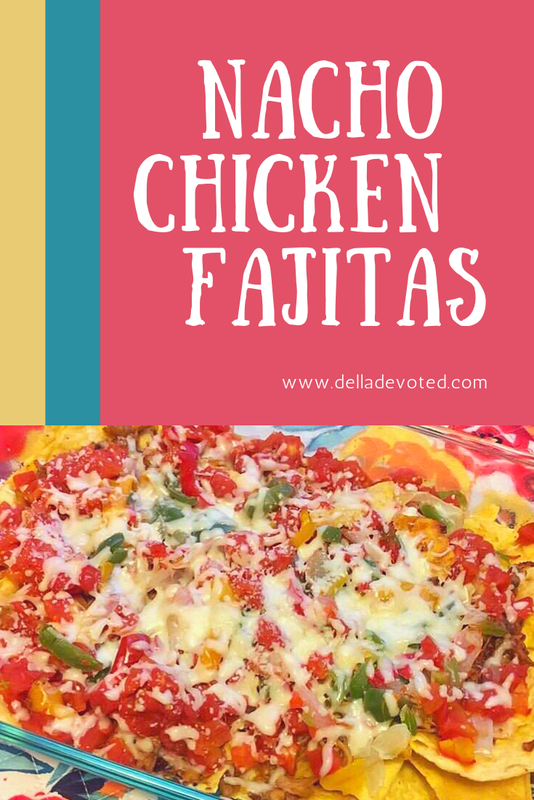 One of my go to favorites is Nacho Chicken Fajitas. This is a favorite of my husband's and it's super quick and easy. It's also perfect for game Days, family game nights or for any occasion. It's sure to be a crowd pleaser. Spray a 9 x 13 casserole dish and preheat oven on 350. I use canned chicken to make the process even quicker. I simply add a little butter and fry the chicken on medium to low heat for about 10 minutes. I then add a pack of taco seasoning with the amount of water that it says to add on the package. I let that simmer for about 5 more minutes and then I'm ready to assemble everything else together. 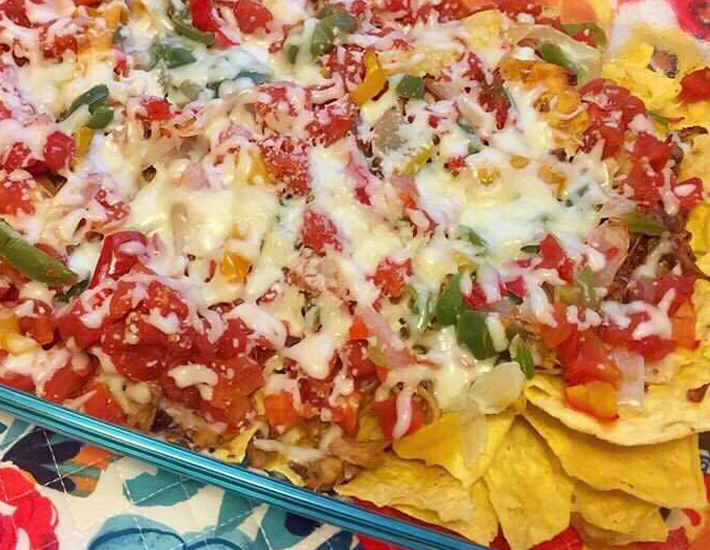 After chicken has been fried and seasoned, layer casserole dish with Tortilla Chips. Completely cover bottom of dish with tortilla chips. I make sure to add plenty of chips and even layer chips on top of each other. Then, spread chicken out over top of the chips. Next, add pepper and onion strips on top of chicken. Finally, add can of tomatoes and chilis. Bake on 350 degrees until chips get lightly browned. About 20 minutes or so. Be sure to keep an eye on it. You don't want your chips to get burnt. When it's finished, sprinkle cheese over the top and enjoy. * You can also add refried beans, jalapenos or any other toppings that you prefer. It's absolutely delicious and it's the perfect appetizer. It would be perfect for Super Bowl!